Being the huge replay fan (geek) I am. I am constantly looking over old cards and comparing them to some of great cards of today. This has to be the most amazing card ever. No fumble. +yardage on keyed. 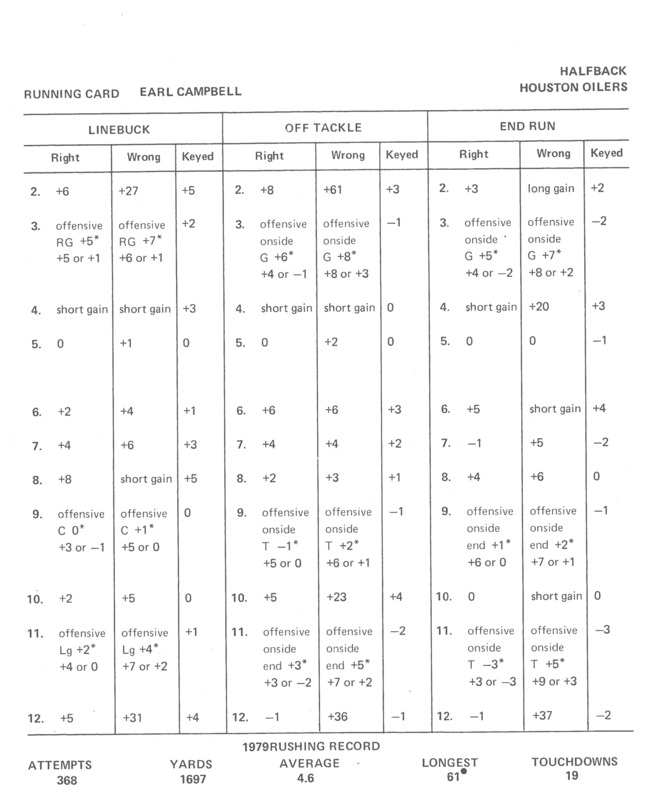 why do anything but run the man every play. 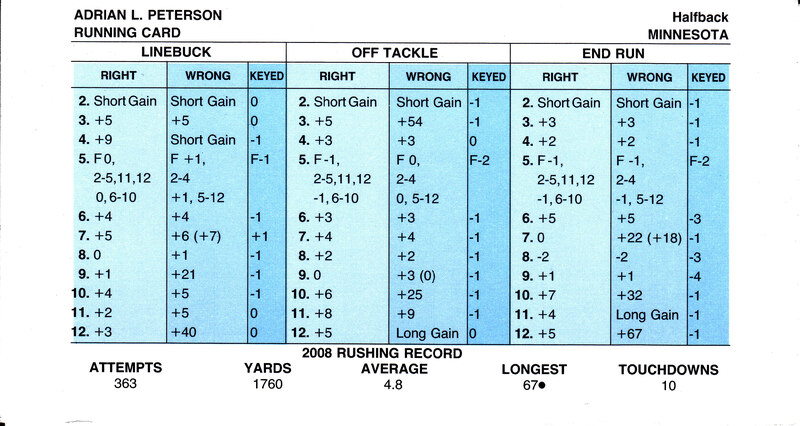 Here is Peterson from 2008 to compare.